A commonly expressed idiom is that a dog is a man’s best friend. This statement rings even truer when it comes to addiction recovery and even includes cats, horses and other animals. A person recovering from a drug or alcohol addiction is at one of his or her lowest points. In many cases, friends and family members have been alienated, his or her financial situation is in tatters and overall health is diminished. But a dog, horse or any other animal has no idea about what you’ve done in the past, who you’ve hurt or how low you’ve sunken. All they want is your unconditional love and attention, which is often what people in recovery want as well. Animal-based therapy has been in use for many years and has been proven effective in many different circumstances. Anyone who has ever felt the warm embrace of a dog or the gentle welcoming rub of a cat knows the instant joy and satisfaction animal interaction can bring. For patients in any sort of rehab, these benefits are enhanced exponentially. 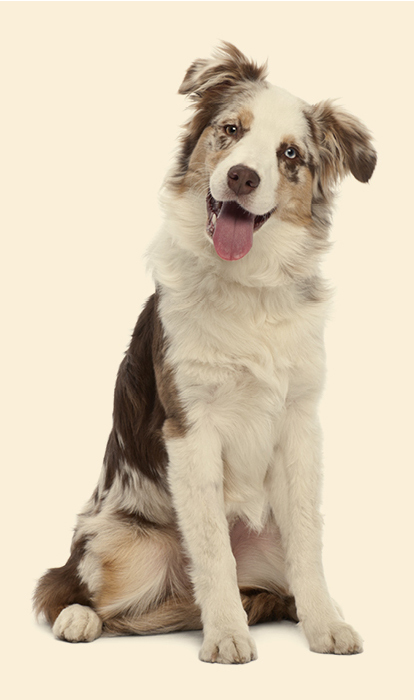 The therapeutic benefits that animals provide humans have been known for centuries. However, the first suggested use of animals in therapy was in 1961 by Dr. Boris Levinson, a child psychiatrist at Yeshiva University Medical School. The discovery was made by accident, when Dr. Levinson had his dog, Jingles, along with him in a meeting with an autistic child. The child’s response to the animal was outstanding. At a meeting of the American Psychological Association, Levinson proposed the argument that playful interaction with dogs can improve the social and communication abilities of children with autism. His initial results were dismissed for lack of supporting research. However, Dr. Levinson remained steadfast. In 1977, he opened the Delta Foundation, which served as the collection center for all animal-assisted therapy and animal-human bond research. Four years later, the organization became Delta Society, and expanded its research into the medical field. In 1996, the organization published the first book about animal-assisted therapy and animal-assisted activities. During the early 90s, it also started a new program, Pet Partners, which provided the first comprehensive training for volunteers and healthcare professionals. Today, the group now has almost 14,000 teams that make nearly 1 million training visits around the country each year. 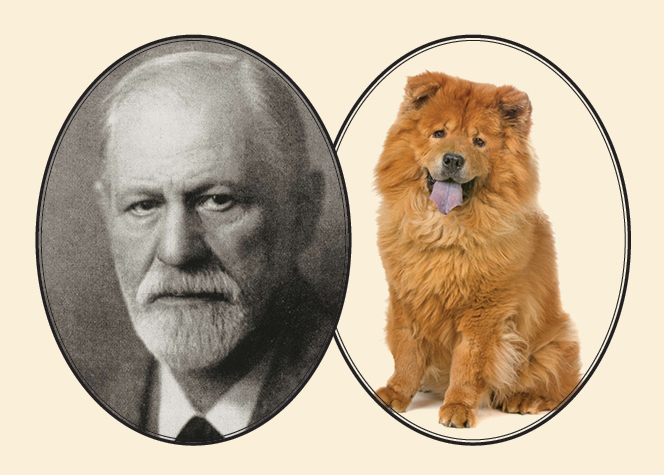 One of the original pioneers of canine therapy, Sigmund Freud famously utilized his Chinese Chow, Jofi, during his therapy sessions. Freud felt that Jofi had a calming effect, especially on children, and was also able to read the moods of his patients. According to Freud’s writings, the purity of a dog’s affections would always shine through. “Dogs love their friends and bite their enemies, quite unlike people who are incapable of pure love and always have to mix love and hate in their object relations,” he is famously quoted as writing in letters to Marie Bonaparte. Fast-forward to the 21st century, and therapy dogs are utilized with children, veterans, nursing homes and mental health units. For people battling addiction, one of the many things they fear most is judgment from others who don’t understand what they’re going through. A dog offers unconditional love and a judgment-free zone that allows people in recovery to build confidence and self-esteem as they progress forward. This was illustrated during a 12-week study where 56 addiction recovery patients participated in a canine-assisted rehabilitation project. Active participation was defined as physical/verbal interactions of greater than five minutes per week for at least half of the patient’s stay in rehab. Passive participation was defined as the presence of the client with physical/verbal interaction lasting less than five minutes. 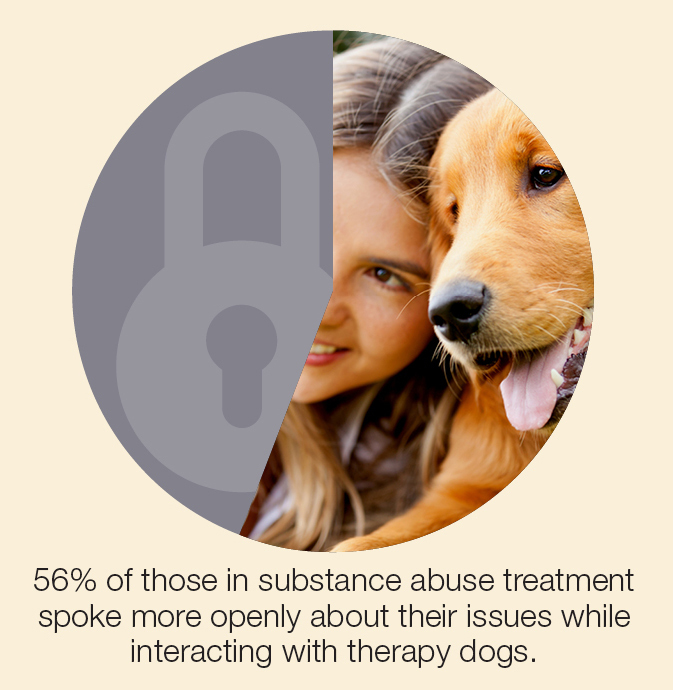 Sixty-four percent were reported to actively participate with the therapy dogs (petting, feeding, talking to, etc.) and made positive statements to peers and staff members, indicating that they enjoyed the experience. When dogs were near patients, 56 percent of the participants appeared to interact spontaneously and spoke more openly about their histories related to violence, loss, family dynamics and the consequences of substance abuse. Despite the small sample size, this was deemed significant because many substance abuse clients struggle with trusting others, especially those who could be perceived as authority figures. While equine-therapy can be traced back to some of the earliest human civilizations, an exact reason as to why horses are helpful in therapy is still unclear. There are, however, some theories about the relationship between horses and humans. Our relationship involving horses is different from the typical companion animal-human interaction. 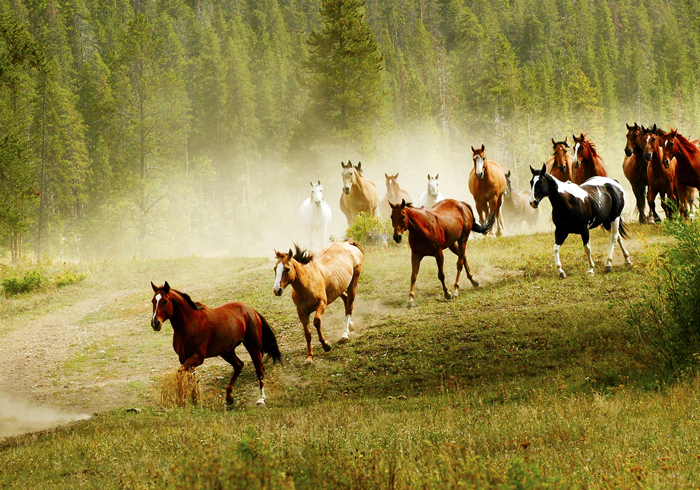 Horses are not predatory by nature as are dogs and cats, but are rather themselves animals that are preyed upon. Some experts theorize that this makes them more aware of and attune with human emotions. Their size may also contribute to their empowering effect. While some might believe that a horse could instill fear, their large and powerful stature gives people the ability to overcome fear and improve their confidence level. 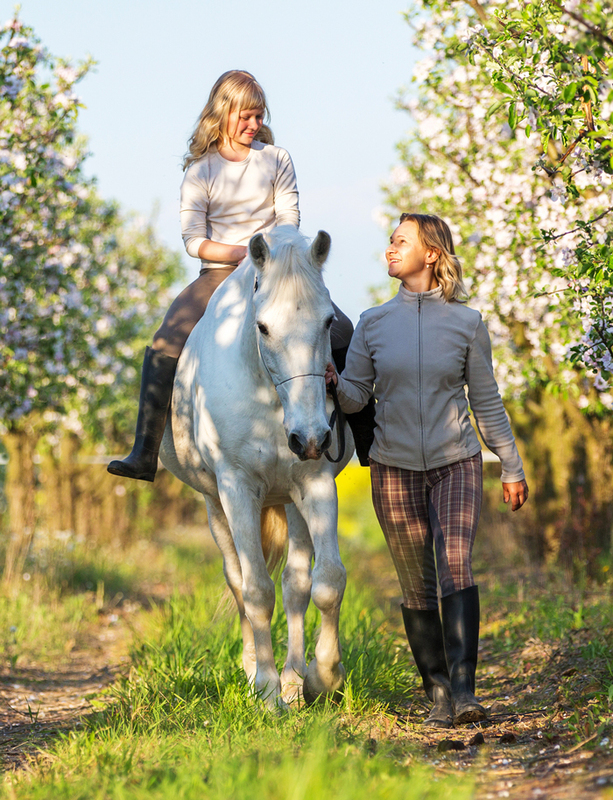 Equine-assisted therapy is an umbrella term which covers two different types of therapy that involve horses and occasionally donkeys: Hippotherapy (“hippo” from the Greek for “horse”) and therapeutic riding. Although often used interchangeably, the two terms are distinctly different. Therapeutic riding is beneficial in that it stimulates the cardiovascular system and strengthens muscles. It also has the added effect of being a relaxing experience and allows the rider to create a bond with the animal. However, while all riding might have therapeutic benefits, not all riding is therapy. According to the American Hippotherapy Association, hippotherapy is defined as the use of equine movement to engage sensory, neuromotor and cognitive systems to achieve functional outcomes. In other words, it is designed to address specific physical and mental problems using a treatment protocol defined under a physician’s prescription. 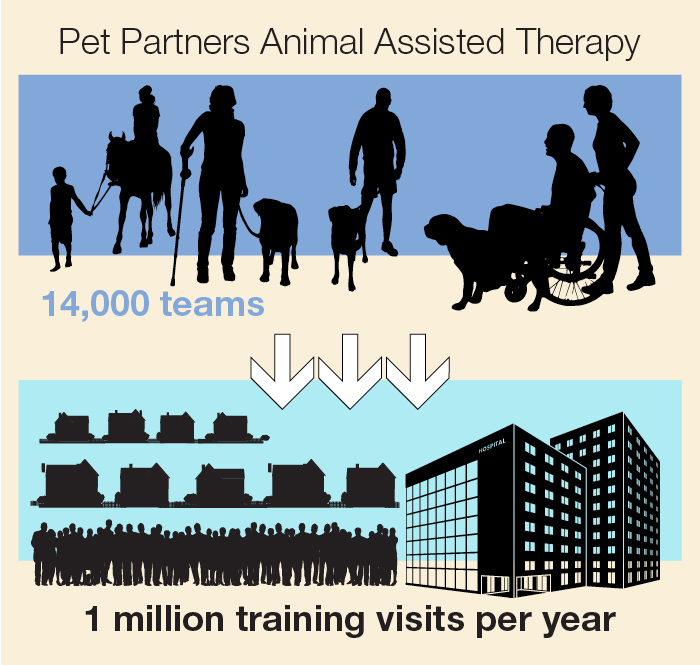 What Can Animal-Assisted Therapy Do for You? People recovering from drug or alcohol addiction need every possible ally on their road to health and sobriety. They also need to build confidence and trust, while thriving in a judgment-free environment. Canine- and Equine-assisted therapy are just two of the methods our experts at Seaside Palm Beach utilize in helping patients succeed in rehab. For over 20 years, we’ve remained committed to helping our addiction recovery patients heal physically, spiritually, emotionally and mentally. We do this by providing dozens of therapies and programs designed to address the unique obstacles and circumstances facing each person. If you or someone you care for is losing the fight against addiction, the time for waiting is over. Contact us today at 888-997-3274 to begin treatment right away. Coren, S. (2002). The Pawprints of History: Dogs in the Course of Human Events. New York, NY: The Free Press.